Decorative gutters from copper gutters to unique profiles can make your home stand out in a crowd increasing curb appeal and value. 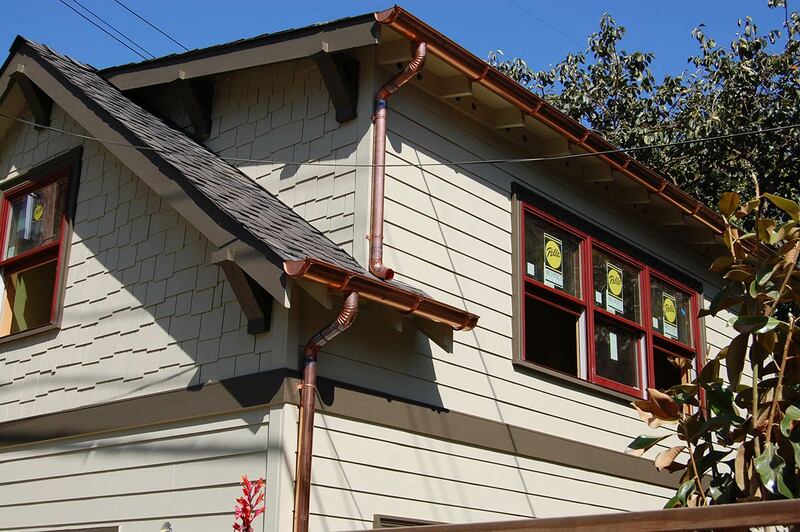 Copper rain gutters are usually chosen to increase the aesthetic appeal of a property. 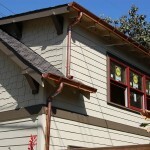 Most copper gutter projects are custom gutter projects, allowing plenty of room for creativity. Our copper installations are designed by the specifications of the homeowner. 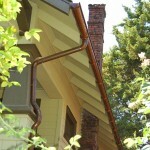 Over time copper gutters are susceptible to the natural process of patina. To deter the patina process the homeowner may decide to apply a clear coating. 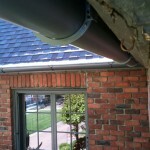 Other custom styles we install include 5″ and 6″ half-round gutters secured with either circle & shank hangers or hidden job site brackets. 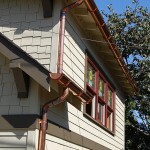 5″ and 6″ half-round gutters extend the traditional look of historic homes beyond just the architectural appeal. Because these jobs are so unique, color and material selections are limited.